Today I am rocking my new card holder by Ethan K. My old trusted Smythsons one was looking a little sad and rank to be honest. 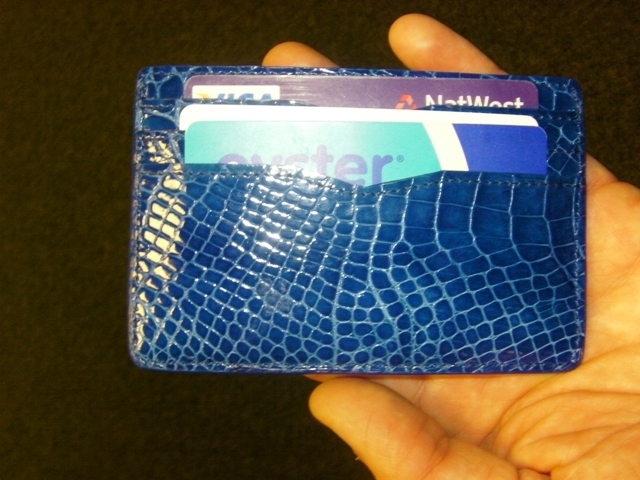 It was time to spice up the daily commute with some blue crocodile. Done and done. I have actually met Ethan K himself and he is one of the nicest designers I have come across. Knows his craft and the new collection of his is looking truly incredible. I have not seen attention to detail, craftsmanship or stylish pieces like this in a long time. He is totally blowing my head away with his work. You must check out his site here and for stock list you can visit Couture Lab. Look out for Ethan K, he is fierce.